Many of the fun things to do in Santorini can be done staying in a wonderful hotel. You can find limitless number of stunning hotels in wonderful locations. Most of these hotels boast of wonderful views of the ocean. Choose a luxury hotel with spacious rooftop and a room with a perfect balcony. This will allow you to observe the stunning 360 degree views of Santorini all the time. So, make sure you do your homework before finally booking your hotel in Santorini. Oia is one of the most beautiful villages in Santorini. The exquisite village of Oia is located at the northern end of the Island. It is renowned for its blue domed churches, whitewashed houses, narrowed cobbled walkways, small restaurants, galleries, stores, and most importantly for stunning sunset views over the caldera. You will find a great sense of romance in everything in Oia Village. So, exploring the breathtaking village of Oia is always among the top things to do in Santorini. 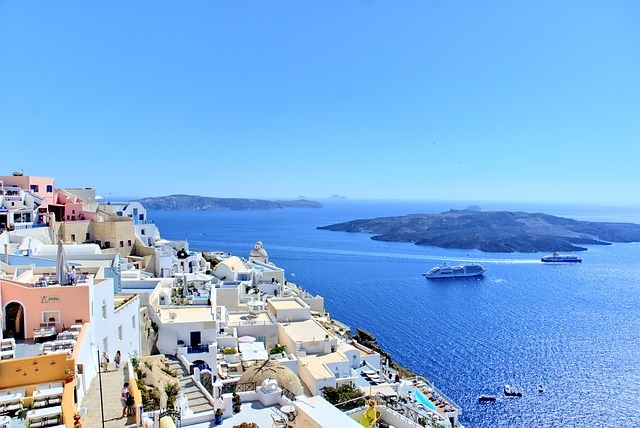 Fira, the capital of Santorini Island, is another stunning village in Santorini with population of just over 2000 but on a busy day around 6000 cruise ship passengers explore this village. 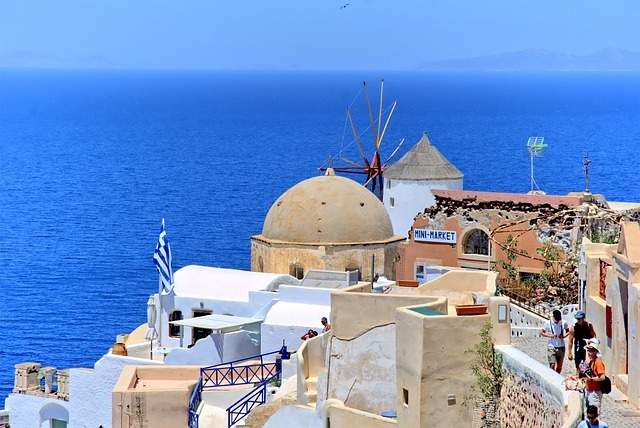 You can find plenty of restaurants, and jewelry, souvenir and clothing stores in Fira. Taking a donkey ride is one of the very popular things to do in Santorini among tourist visiting Fira as donkeys are an integral part of the tourism in Santorini giving the visitors wonderful rides up and down the 588 steps leading down to the Fira harbor. The cost for the ride per person is 5 Euros. So, riding a donkey can be a unique experience in your life. You can find limitless number of restaurants and bars all around the island and you should really love tasting the foods and wines of Santorini. Ammoudi is perhaps the most prominent location to find Santorini’s best food. The island has a long history in Viniculture, with the aboriginal white Assyrtiko grape being the leading variety. Although wine production in the island flourished under Venetian control during the middle ages, its history dates back to Roman times. 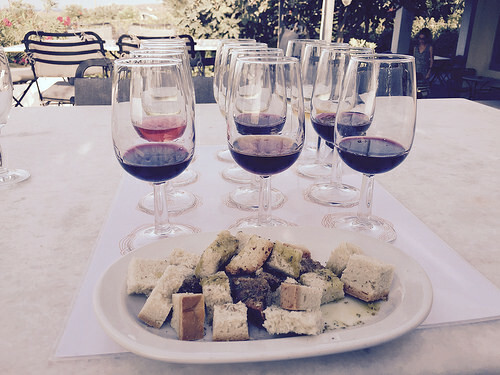 At Santorini’s best wineries, wine lovers can sample dry whites, reds and roses. So, taking Santorini’s food and wine must be one of the must-do things to do in Santorini. 5 Comments on "10 Top Things to do in Santorini"
Great Post! Santorini is Wonderful, been there a few years ago… I would also reccomend Ios especialy Milopotas beach and the Village. This place is stunning. One of the truly epic, beautiful islands on earth. We got a little taste when we visited Cyprus, enjoying places like Paphos. Greek feel to it with the influence and goodness was the water brilliant. So clear!